SRAM just announced an all new wireless system dubbed AXS for mountain biking. 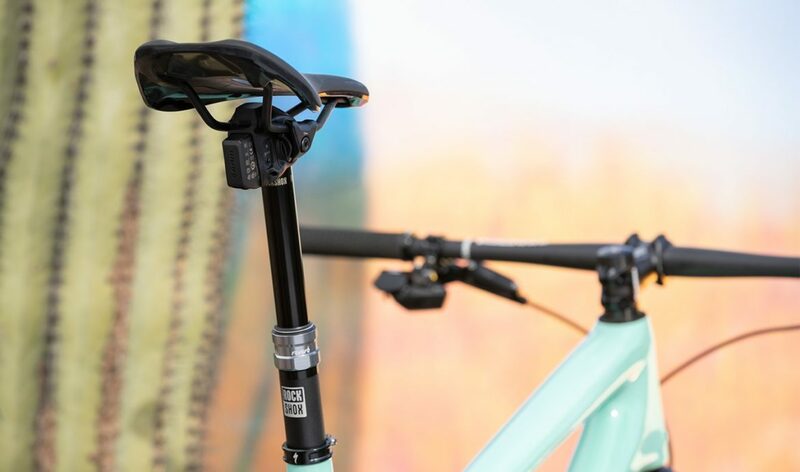 The system not only includes wireless shifting, but also introduces a new wireless RockShox Reverb dropper post. AXS adds wireless shifting to the Eagle 12-speed drivetrain and updates some of the components as well. 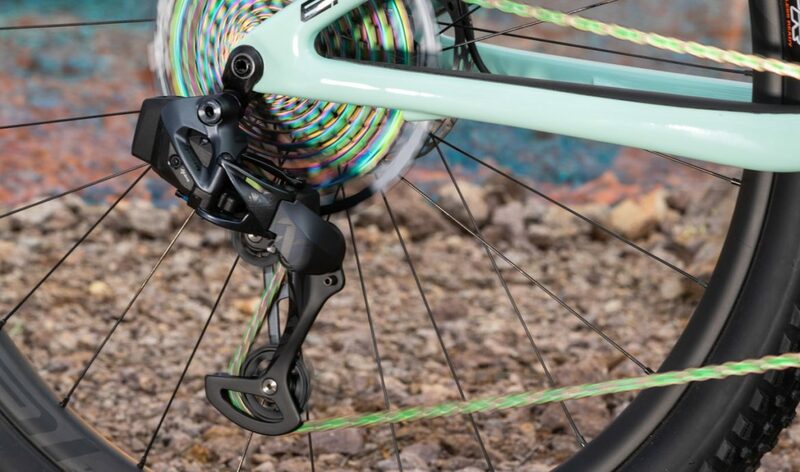 For starters, the rear derailleur has 10mm of extra ground clearance over the previous XX1 and X01 Eagle derailleurs, which is certainly welcome news for anyone who has had a derailleur knocked, bent, or ripped off on the trail. The new derailleur is said to offer more chain wrap too, which should help with efficiency and even reduce wear. Because it’s wireless, the derailleur is said to be simple to set up. Just bolt it on, set the three limit screws, and the derailleur does the rest. SRAM has also built in something they call an Overload Clutch which allows the derailleur to protect and reset itself after being knocked by objects on the trail. Essentially the gears in the derailleur fully disengage upon being struck, then quickly reset to keep things moving ahead. This should go without saying, but one of the advantages a wireless derailleur has over a mechanical system is there is no need to run cable or housing. SRAM is using the same battery to power all of the new wireless components, including the dropper post (more on that below) and even the road group, which the company claims will make it easy to mix and match components. The derailleur is also said to be highly water and dust resistant. A wireless “paddle” is used to control the derailleur, and it appears to be extremely adaptable. For starters, riders can use a free app from SRAM to configure what the buttons do. It’s also possible to orient the paddle so that it works as a traditional click shifter, or mounted inboard to act more like a grip shifter. The app is not required to operate the system; it’s only used to customize the setup. 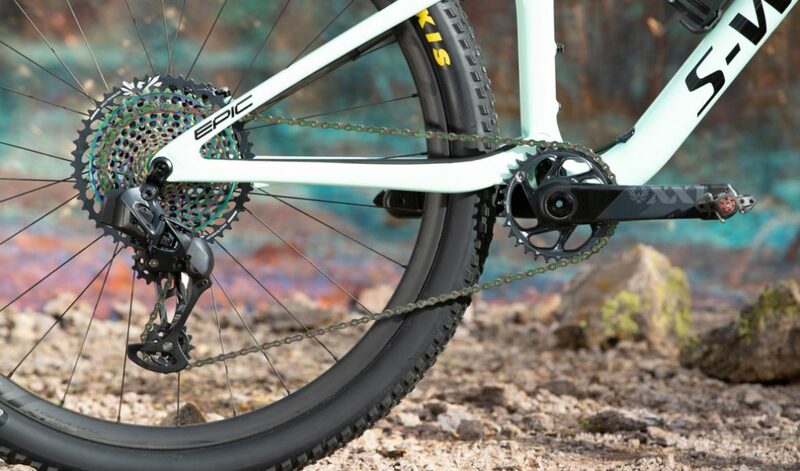 The cassette and chain in the new Eagle AXS group get a rainbow treatment so everyone knows at a glance that it’s AXS. With the initial release, both XX1 and X01 groups are available. Pricing is set at $2,000USD for the XX1 drivetrain and $1,900 for the X01 group, which obviously doesn’t represent much savings. 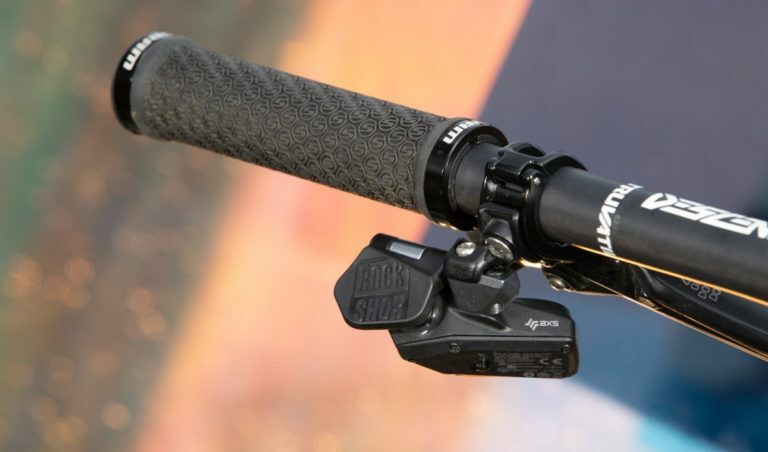 SRAM also introduced a wireless Reverb dropper post. 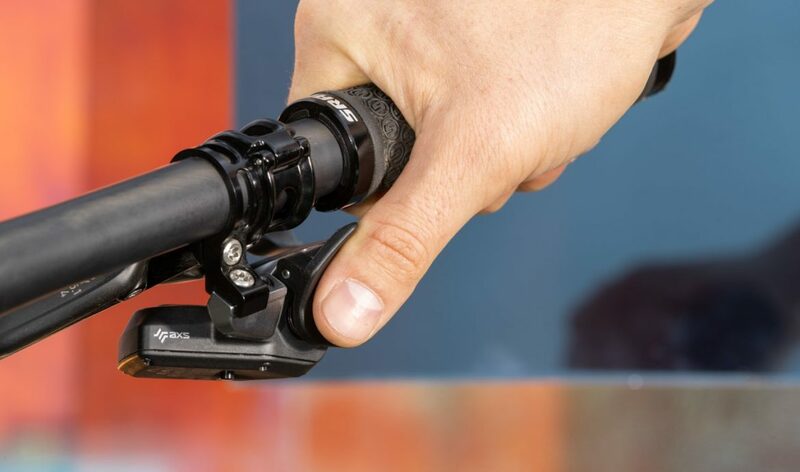 Rockshox has had a checkered history in terms of the reliability of their dropper post, and they are one of the only brands that uses a hydraulic lever system. For those who have had to install or trim a Reverb hose — or worse, needed to bleed the system to improve performance — the wireless setup is a welcome technology. Not only that, there’s no fussy internal routing. The Reverb AXS uses the same battery system as the AXS drivetrain, and the lever looks similar to the AXS shifter, though it is slightly different. SRAM says the system is instantly responsive and riders can set the post at any height along its travel. Over time, air and oil may mix, resulting in that annoying post “squish” and the need for additional service. Vent Valve Technology allows you to do this simple service within a few steps, without any disassembly of the post. Depress the valve, compress the post, good to go. The air is channeled back into the air chamber leaving the oil where it belongs and you back to more confident reliable performance. The battery is said to last for about 40 hours of ride time and turns itself on and off so there’s no need to fiddle with another thing on the bike. Claimed charge time is about an hour. Like the AXS drivetrain, the Reverb AXS can be configured using a free app from SRAM. The Reverb AXS will be offered in 30.9mm, 31.6mm, and 34.9mm diameters with travel ranging from 100mm up to 170mm. Weights are unknown at this time. The MSRP is set at $800USD which is a pretty big jump from the pricing on the “analog” Reverb. It’s clear from the information released by SRAM that AXS is taking a systematic approach to wireless and connected components. While there’s no mention of electronic suspension control ala Fox Live Valve, we did notice that Quarq data is said to be integrated into the new AXS app. 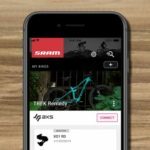 SRAM says the app will help riders track equipment usage for maintenance purposes, and it’s also easy to imagine porting settings from the app between different bikes. For now, SRAM says AXS is for “discerning riders” which is to say, it’s expensive and not everyone needs it (yet). But looking at the history of previous SRAM drivetrain announcements, it’s a safe bet that this tech will trickle down in some form. Your turn: Are electronic controls the way of the future for mountain bike components? What are some cool ways you could see this being used/integrated?